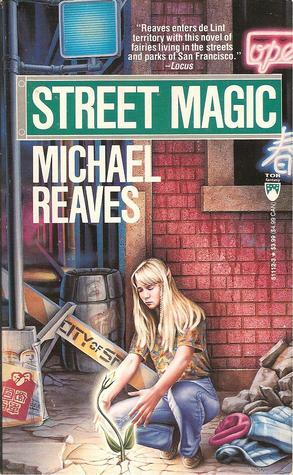 I believe it’s the first urban fantasy I read, along the lines of “elves in Manhattan.” In this case, the city is San Francisco, but it could be any big, grimy, noisy city that draws runaways, abandoned kids, and the disillusioned. It’s a fairly short book, and by today’s standards quite simple, but in its time, the tropes were sufficiently new to stand on their own without an overly elaborate plot. I tried to step aside from the urban fantasy of the last 15 years and re-read it with fresh eyes. The characters and elements that appealed to me then still do. The ones that didn’t (like the street kid to whom magical creatures are drawn) still don’t; however, what was once annoying I now see as a not-so-successful exploration of a literary shorthand we now take for granted and that has not weathered the years well. My favorite characters included an elderly woman bookstore owner (of course!) and the photographer who once glimpsed a door into Faerie (at Muir Woods, of all places – where I visited many times as a teen and college age student, hiking in the “back way” from my parents’ house – well, redwood grove and magic do go together, or so I have always thought), botched his chance to step through that door, and now has descended into a haze of alcohol and regret. He’s not a major character and doesn’t drive the plot, but the way he grapples with his yearning to find Faerie again (and this time, seize the chance he missed before) in conflict with living an ordinary, mortal life in an ordinary, mortal world touched me deeply. Isn’t that what we all do – try to balance and integrate the unrealistic, idealistic dreaming and the humdrum, hoping to forge lives that in some way connect and nurture the miraculous? The verdict: If you haven’t read it, do take a look. It’s a short book and moves right along, and even after all these years has something to offer, especially in the secondary characters. If you missed it and you love urban fantasy, I commend this historical perspective on the genre.